1074 pages. The story achieves lift-off somewhere around page 100, and rockets full-throttle all the way to page 1042. Those last 32 pages kill the entire ride. I usually find film critic and author Jeffrey Overstreet’s insights invaluable. And in regard to Avatar, he does not disappoint. Most critics either gush over the film or dismiss its contrived plot, but others have managed a more balanced approach. James Cameron has always delivered a feast for the eyes, and anyone familiar with his work would agree with Steven Greydanus–Cameron is a master manipulator adept as making his themes seem weightier than they really are. I never suspected Avatar to be any different, but all the talk of its sermonizing has started to make me wonder if it was somehow weaker. Overstreet’s reaction to the film has at least compelled me to take the time and go see it (maybe), but still manages to cut through the hyperbole. The masterstroke of the original Star Wars‘ trilogy was its bold third-act subversion of audience hopes and expectations. Lucas made the villain we loved to hate into a redeemable human being, one who could be saved by grace. Avatar has nothing so bold or redeeming as that, nothing to discomfort audiences with the wild truth. What begins as mythmaking devolves into political pulpit-pounding, a narrow-minded “war-for-oil” critique of recent and present-day American military interventions in the Middle East that sounds oh-so-2004. So I’ll join the chorus in singing “I can’t believe my eyes.” But I cannot echo the recurring declaration that the movie is “mind-blowing” unless I mean that the movie short-circuited my intellect as I watched. The waves of toys spilling from Cameron’s toybox momentarily distracted me from the fact that what he’s built from them is flimsy and crude. As an achievement in technical innovation, Avatar is phenomenal, a ride worth taking more than once, but as adventure movies go, it is impressively new in every way except the way that matters most. Its look will last. But its heart won’t go on. After waiting 12 years for another Cameron film, I had hoped for better. Sure, Cameron could never live up to the hype he generated. Who could? After all, this was the film to which Titanic was a mere detour, right? Has Lost Ever Had a Master Plan? We have asked from the beginning whether Lost creators J.J. Abrams and Damon Lindelof ever had a master plan for the show’s tangled web of mysteries. Committing to a show that would take (and has taken) years to reveal its secrets hinged on whether or not the initial mysteries really pointed to something bigger. After all, we’ve had our hearts broken before. Twin Peaks collapsed after wrapping up the mystery of Laura Palmer’s demise. The X-Files limped on into mediocrity. Many expected Lost to simply implode on itself, another casualty of creative minds spinning an intricate tale without a clue as to where it was all headed. For many, Lost assumed the mantle of cult phenomenon as early as its fourth episode, “Walkabout.” As the mysteries unfolded into the third season, cracks started to show. Once audiences followed Jack to Thailand to get his tattoos, we began asking the question in earnest: Is any of this actually going somewhere? 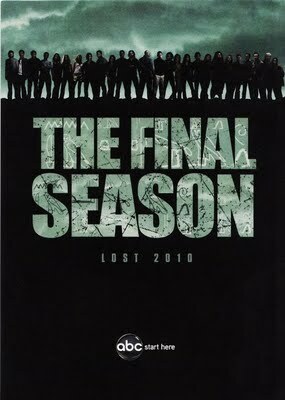 Meanwhile, various comments throughout each season’s DVD commentaries or special features hint that the series writers have spent significant time mapping the show’s trajectory. Lindelof and co-show runner Carlton Cuse have insisted in interviews, most recently this past Monday for TVGuide.com, that they developed a mythology with a specific story conclusion in mind. That conclusion, they maintain, has never wavered, only shifted to accommodate characters and events as they developed. So the question is: how much of Lost’s enigmas and unanswered mysteries find their answers in this developed mythology? Will we learn what makes Walt so special? Had the writers always determined to “move” the island? What’s the real significance of Jack’s cryptic tattoos? Ever wonder if they’re just making it all up? 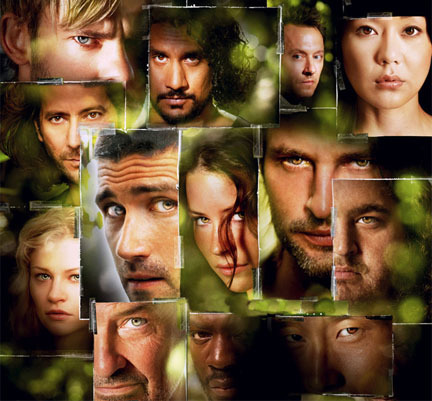 I’ve been hammering out a small editorial that takes on the notion of whether or not the creative minds behind Lost ever had a master plan detailing the evolution of the best show on television*. After three drafts, I’m close to the final version, but a new interview from the show runners, Carlton Cuse and Damon Lindelof, may have rendered my efforts moot. It appears evident that, after Cuse and Lindelof negotiated an end date for the show, things seemed to develop with a greater sense of direction. However, this new interview makes some significant points about the tension between telling a good story, and doing the business of television. TVGuide.com: Have you always known what the end of the series would be? Has it changed at all? Cuse: Always is the operative word. We developed a mythology, as I said earlier, in the first season and between the first and the second season, and we’re actually moving toward that exact end point. I mean, that has not changed. Certain details of how the show ends have evolved over time but that’s mainly on a character level as we’ve gotten to know the characters and seen how the actors interact. So there are parts of the ending that are still living and breathing, but the actual mythological endpoint has been constant since we developed the show. Given Blogcritics’ editorial rules, I can’t really share the thesis of my little essay right now, but suffice to say, this one quote throws a monkey wrench into my entire argument. Ever run into things that pop right out of a recent novel you read? I made a quick comment yesterday about Stephen King’s novella Secret Window, Secret Garden. Anyone familiar with the story (even the movie) knows it’s about a writer who answers the door one morning to a fellow who accuses him of plagarism. That fellow is John Shooter, brought to wonderful life by John Turturro in the film. This guy Shooter wears a black felt Amish hat, you know, and like the shark fin in Jaws, when Shooter’s hat turns up, trouble follows close behind. Sometimes I man a desk at work, and under that desk we keep a little lost and found tray. A gentleman came up yesterday to drop off an item he found lying in the lobby. “Looks like someone left this behind,” he said, and no kidding, he handed me a black felt hat to toss into the tray. Maybe Shooter will come by to pick it up later. I wrote once that Stephen King crafted lyrical prose. The Crusty Curmudgeon let me know in so many words that I had no idea what I was talking about, and he was right. At the time I think I had read maybe four of King’s novels and a handful of his novellas, and not enough make me any kind of an expert. Since then, I’ve read more, and found King’s folksy style a nice, comfy read some of the time. Most of the stories in Four Past Midnight, for instance, flow well enough (though, by the time King published that collection, editors had ceased trimming his work, and Secret Window, Secret Garden in particular could easily lose a thousand words). Working my way though The Dark Tower, however, has become an exercise in patience. While The Gunslinger unfolded an enthralling world and an equally interesting protagonist, the writing was atrocious. If not for my buddy Andrew’s prodding, I might not have continued with The Drawing of the Three. 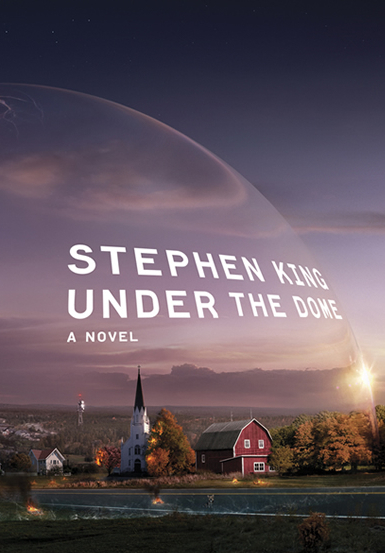 I want to read The Waste Lands soon, but I have to finish Under the Dome first. I reserved the book at the library several weeks before the book hit the shelves, and I was 80th in line to get it. I logged on this morning, and found it should be ready for me real real soon. King’s newest tome hit the shelves on Nov 10, and three weeks is fast work for 79 readers.